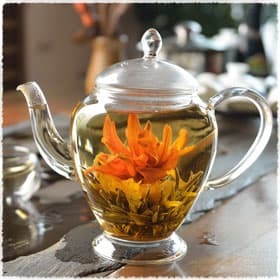 The excellent and unique contents of this tea allow the buds to expand evenly into a distinctive shape that characterises the Silver Needle Flower Tea. 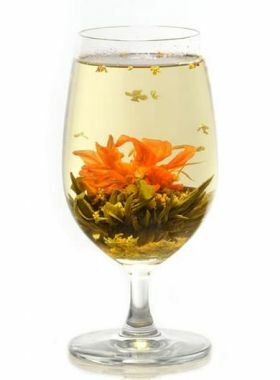 This carefully crafted tea ball is composed of Jasmine and Marigold flowers encased by well-chosen Silver Needle Green Tea leaves. 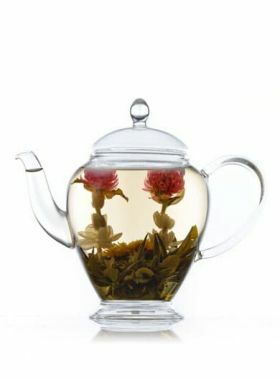 Each leaf is elaborately designed so that it unfurls attractively into beautiful flowers when brewed in boiling water. This crafted sphere produces a yellow brew with an exceptional sweet, jasmine flavour. 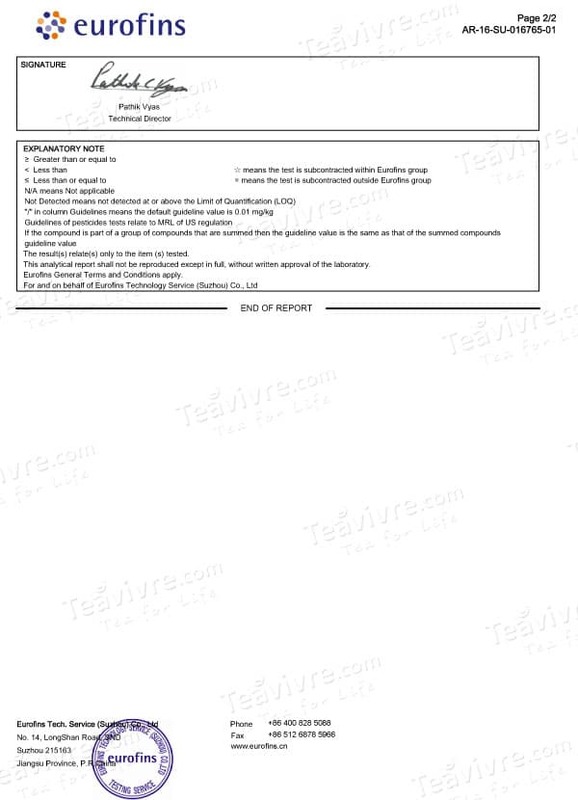 This tea is best brewed in a big and crystal clear glass tea cup or teapot. 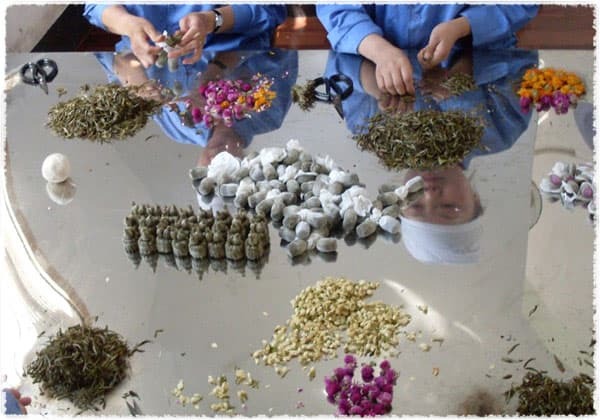 The Silver Needle Flower Tea is produced in Fuding, Fujian Province, which is located in the northeast of Fujian and is one of the famous tea-producing areas. 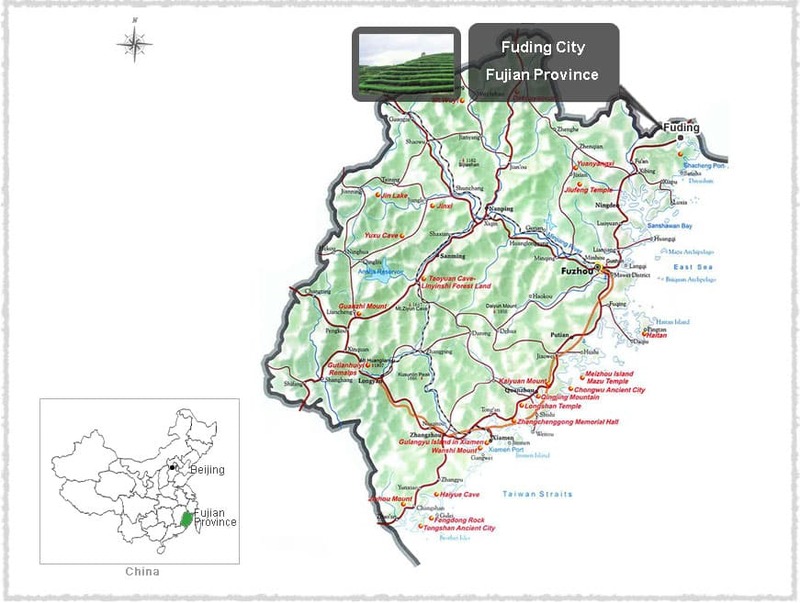 Fuding belongs to the subtropical monsoon climate, which is characterized by the distinct oceanic climate. 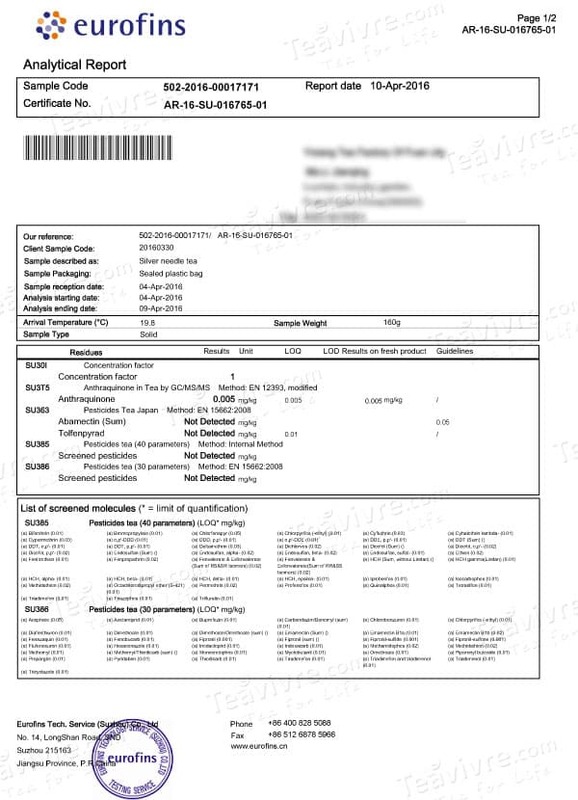 The average annual sunshine lasts 1840 hours; the average annual temperature is 18.5°C; average annual precipitation is 1661.6 millimeters.